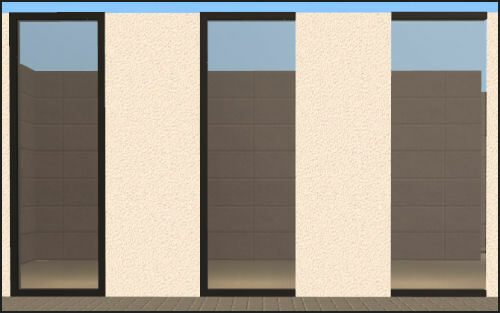 I know there are tons of modern full size windows out there and although I have a lot of them in my game I still had a hard time making them match. Most of the time the frame colors didn't match and I was too lazy to recolor them all or they only came with blue glass and weren't recolorable. I also don't like to use cheats to puzzle my windows together and if I finally finished a house I had to remove half of the windows because the creator didn't allow uploads. So I made this set for myself and why not share it with you. Hope you enjoy it! This set uses the repository technique meaning that the master window holds the texture. If you want to recolor the set you only have to recolor the master file. If you don't like any of the windows you can safely delete them but you do need the master file in order for the textures to show up. 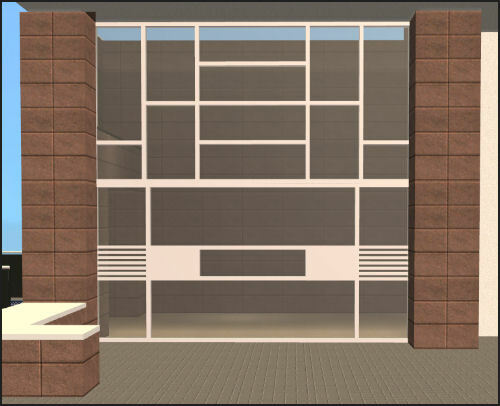 All of the windows come with a diagonal version and I included a white, wood, metal, white glass and blue glass recolor in the rar file. All of the windows come in three versions and connect seamlessly: 1-tiled full frame, 1-tiled frame with one open side and 1-tiled frame with both sides open. 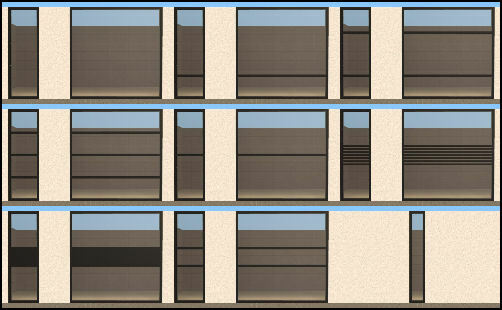 That way you can mix and match them and create n-tiled windows. The small counter window leaves enough space to place most of the kitchen cabinets above it. The bottom windows go perfectly on "lowered" walls. Place the windows first then lower the wall. Policy: You can include my objects in house uploads on any site except of paysites. You can also recolor my objects or do what you wish (except of using them for paysites) but please give me some credit. Thank you! That also includes all of my old objects. These recolours may or may not be endorsed by Tiggy027.